Born in 1942 Paul McCartney, was raised in a traditional working-class family in England, similar to his future fellow Beatles Ringo Starr and George Harrison. His lifelong love of music began at an early age. In his teens, he had already written “When I’m Sixty-Four,” hoping to sell it to Frank Sinatra. In 1957, he met John Lennon at a festival where Lennon’s band was performing and was soon invited to become a member. The two quickly became the group’s songwriters. They renamed the band, The Beatles, and the rest is music history. The Beatles took the world by storm in the 1960s influencing generations to come. 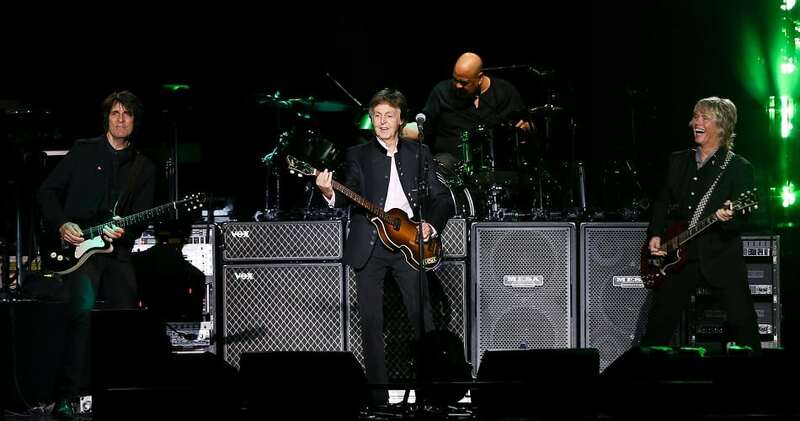 Paul is one of the most popular solo performers of all time. He has an estimated net worth of $1.2 billion. Read our entire list of the top 100 richest musicians in the world.